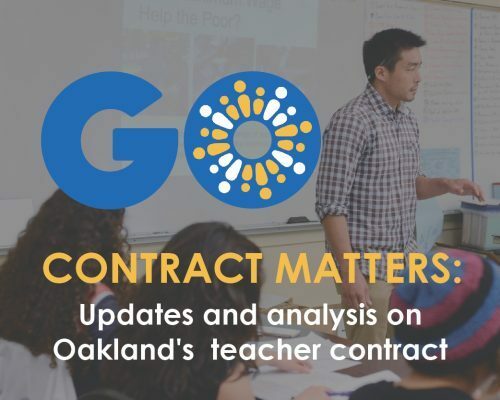 Today, the Oakland Unified School District and the Oakland Education Association (Oakland’s teachers’ union) return to the bargaining table to discuss a new teacher contract. The new contract presents an opportunity to give our educators a big raise and to strengthen the voices of teachers and their school communities. Click here to check out all entries in this series. Teachers need a big raise. Our teachers are among the lowest paid in the country (adjusting for cost of living) and Oakland educators deserve much better. Every year, 20 percent of teachers leave, many to teach in cities that pay better and have a lower cost of living. This teacher churn is not good for students or schools. Increasing teacher pay is a critical step in stabilizing our teacher force and keeping great teachers in Oakland. What’s on the table in terms of a raise? Increasing salaries by 10% by the 2016-2017 school year (contingent upon projected state revenues). A one-time payment equal to approximately 0.7% of the 2014-15 salary. The possibility of an additional 3% increase (depending on increased state revenues, a change to benefits, and extended collaboration time) for a total of 13.7%. Increasing salaries by 11.88% by the 2015-2016 school year. Additional increases for extended collaboration time (the precise amounts of these increases are not yet clear). See November bargaining updates from the union and the district (with information about both proposals) for more information. The district and union seem to be close to an agreement on a major raise for Oakland teachers. But even these proposed increases will not be enough to make our teacher salaries regionally competitive. The Superintendent said his ultimate goal is that Oakland teachers are among the best paid in the state, but other cuts will need to be made to fund salary increases. Teacher salaries should be raised as close to regional levels as possible within our current budget. In addition to the raise, teachers need a stronger voice in school decisions. Superintendent Wilson’s presentation at the board meeting and his talk made it clear that his plan includes granting more flexibility to school communities. Teachers, parents, and administrators need more voice in the key decisions – budgeting, hiring, scheduling, and curriculum – that affect their school quality and the experiences of their students. 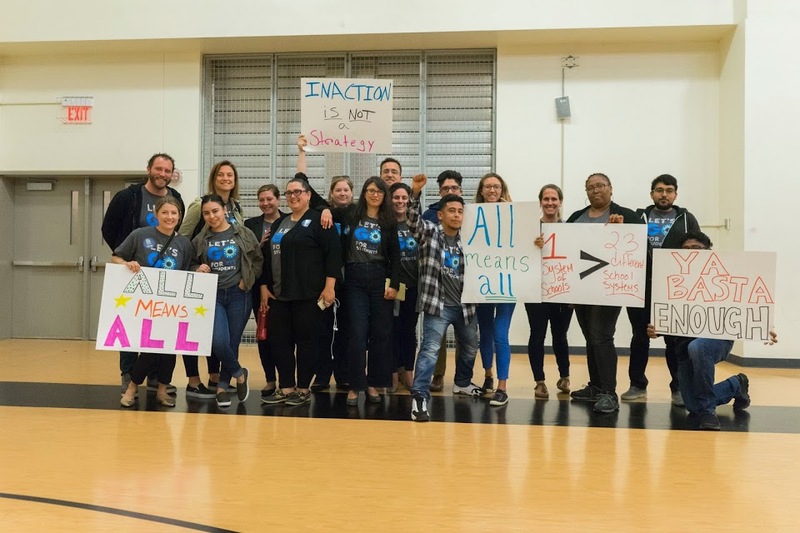 The district’s most recent contract proposal includes the creation of site-based Personnel Committees – made up primarily of teachers ­- to ensure community voice in staffing decisions. Schools are more successful when all staff are aligned to the school’s vision. Giving teachers and parents more say in which teachers join their team is a step in this direction. We hope that the district and the union can come to an agreement sooner rather than later. Then Oakland can begin to harness the energy around the Superintendent’s new plan to focus on improving our schools. Please look for further communications as we learn more.